DesignUp + DesignIndaba have teamed up to support the Community Radio project in the hills: The People’s Power Collective. On stage at DesignUp 2018 in Bangalore, Saritha Thomas, founder of People’s Power Collective (PPC), enthralled us with stories of deep, meaningful change through low tech, with a human touch: the community radio. 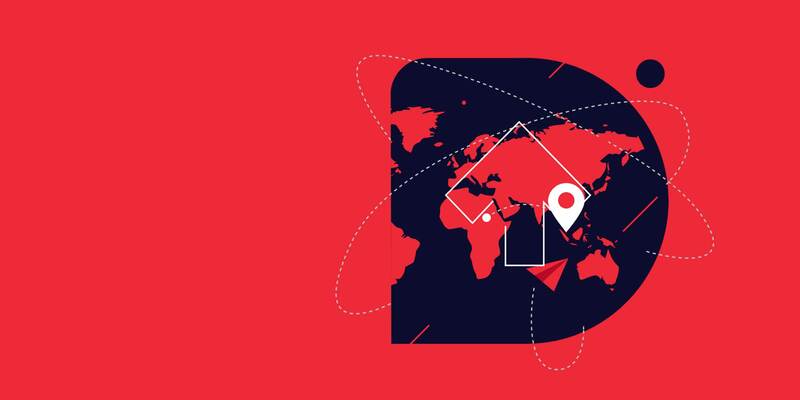 Inspired by the talk – DesignIndaba founder Ravi Naidoo (#DUp18 closing Keynote speaker) and the DesignUp team multiplied forces to create the first DU+DI Challenge. People’s Power Collective (or PPC) is doing some exemplary work up in the hills of Uttarakhand, India. The Community Radio initiative impacts a number of areas: local issues, women’s empowerment, community education, disaster preparedness and relief. Unlike health, education, or sanitation – the benefits of community radio are not easy to understand in a few words, let alone 280 character tweet. Given that these are deeply interwoven systemic changes and far far away in the remote hills – awareness and understanding is one of the key problems that Saritha and the PPC team has identified. Better understanding and greater awareness translates to building trust, creating involvement and leads to individual and corporate donors. It also leads to getting professional volunteers who are crucial to running and growing these stations. And blueprints to help them raise the profile of the org, share the community initiatives that are transforming the social fabric of these remote regions, and bring it closer to individual donors, and professionals down in India’s vast plains and beyond. Your challenge is to raise the mindshare, cut through everyday clutter, and generate involvement with urban Indians (and beyond India) through the use of meaningful action and interactions. The solution could be an app, a website, a game, an “insert” or campaign in a larger app/service ecosystem (eg Facebook or Twitter or LinkedIn), an interactive installation, a service—or a combination of these, and/or a campaign. We are looking for design and digital interventions that help people understand the work being done by PPC and/or the impact of their work. In a simple, and a memorable way, convey the work being done by PPC. Use of metaphors, stories and other modes are welcome. Remember there are many dimensions to this initiative and it’s impact. Trigger engagement with PPC – this could be a small meaningful action but helps people understand or see the possible impact. Envision the larger picture and connect with it in some meaningful way without donating (not looking for donations now). Generate Virality – lead to engagement and increased mind-share. These would also be the broad criteria for judging the entries. The submission: Entries should be a PDF or Keynote/PowerPoint Presentation or a PDF landscape in a 4:3 format (think of an A4 landscape). It should not exceed six slides or pages. Be succinct, distill the solution down to essentials, showcase your idea in a crisp, clear fashion. The solution can be explained with images, illustrations, workflows, text, script, storyboard and any other representational style. You can also provide a link in case there is a fully or partially working prototype. A walkthrough video would be desirable but not mandatory. An individual may submit upto 3 ideas/entries via this link. The Challenge is open to individuals over 18 years of age (not teams). Students and professionals are both welcome to participate, but there are no separate categories or prizes. The creator of the most ingenious solution, the 1st prize winner, gets an all expenses trip to the CapeTown, South Africa, to attend the Design Indaba Festival Feb 27-March 1, 2019 on a VIP pass. 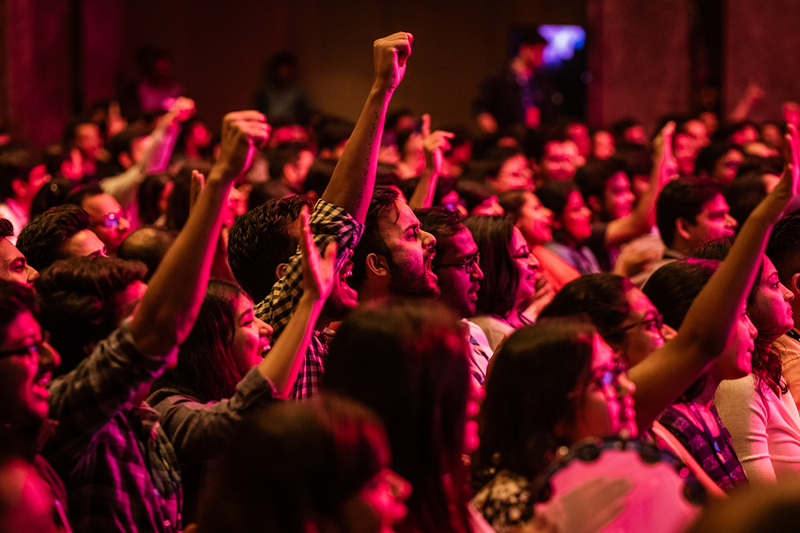 Two runners up receive premium passes to the DesignUp 2019 Conference in Bangalore, India (Oct/Nov 2019) and a chance to interact with all the speakers. All promising and winning entries will be showcased at DesignUp 2019. We will explore the options to make these ideas a reality with you, PPC and DesignIndaba. 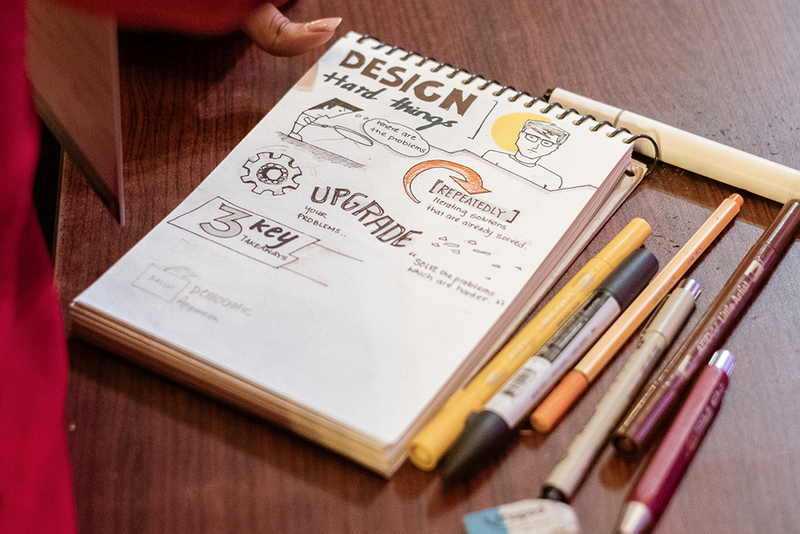 The real reward is being able to see your design move from a presentation to reality, being used, making an impact – impacting human lives for the better. An AMA session with Saritha is planned in the next few weeks (we’ll announce via social media plus this newsletter). You could also write to us at team@designup.io and we’ll aim to answer these or have PPC answer these for you. 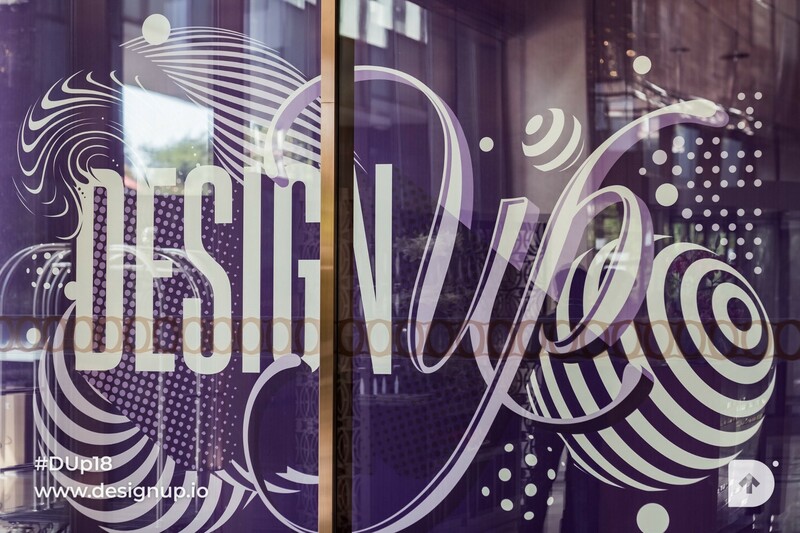 What did I learn at the DesignUp Conference 2018?